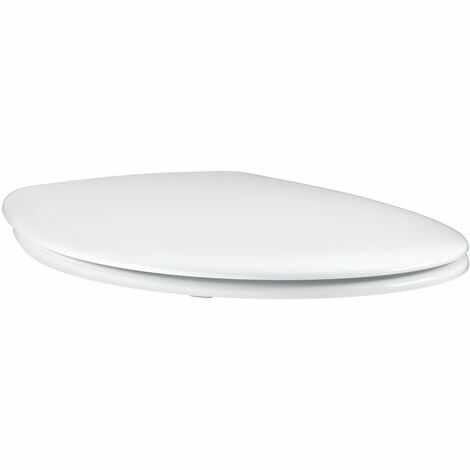 The extra-slim GROHE Bau Ceramic WC seat with lid is the perfect finishing touch to your new bathroom or cloakroom scheme, with clever features you'll appreciate. Designed to perfectly complement the GROHE Bau Ceramic range and made of durable Duroplast, the seat's Quick Release feature makes cleaning easy – the seat is attached to the pan with a quick-release hinge. In addition, GROHE SoftClose ensures that the lid and seat move slowly and smoothly, avoiding slamming noises and trapped fingers. The seat includes a stainless steel fixation set. 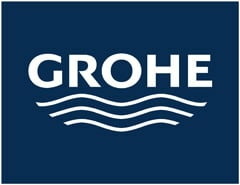 By choosing GROHE ceramics you benefit from GROHE's global expert in sanitary fittings, plus 100 years of technical excellence and expertise from LIXIL, the leading brand in surface technology. GROHE Bau Ceramics – versatility for modern life, at an attractive price. Ideal for combining with the GROHE Bau Ceramic floor-standing WCs or the wall-hung version (39427000).